Microsoft has developed a small plug-in device that investigators can use to quickly extract forensic data from computers that may have been used in internet crimes. The “COFEE,” which stands for Computer Online Forensic Evidence Extractor, is a USB “thumb drive” that Microsoft distributes to law enforcement agencies investigating computer related crimes. COFEE contains 150 commands that can dramatically cut the time it takes to gather digital evidence, which is becoming more important in real-world crime, as well as cybercrime. It can decrypt passwords and analyze a computer’s Internet activity, as well as data stored in the computer. It also eliminates the need to seize a computer itself, which typically involves disconnecting from a network, turning off the power and potentially losing data. Instead, the investigator can scan for evidence on site. If you are being investigated for a “cybercrime” you deserve to be represented by an aggressive firm that knows how to defend people accused of such crimes. 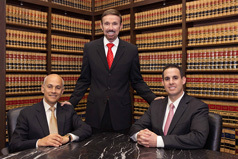 Contact Wallin & Klarich immediately to discuss your case. Do Police Need a Warrant to Search Your Internet History in California?